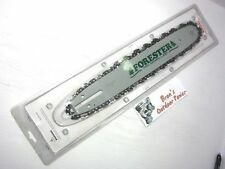 For sale is a new 18" Forester bar and chain combo for the small mount Husqvarna chainsaws. This bar and chain is 18". 325. 050, with 72 drive links. This bar and chain will work on the Husqvarna 340 345 350 353 359 435 440 445 450 and several other saws with the. 325 sprocket. We see nothing that would alter the performance of the parts. You can expect to possibly see chipped paint, scratches, light rust, dust, dirt, cobwebs, oil, and oxidation. We list new inventory often. 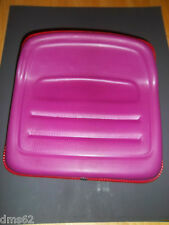 NEW FORESTER PURPLE TRACTOR SEAT FITS SCOTTS / MTD / AYP AND MANY RIDERS. 4 BOLT PATTERN 8 1/4" X 3". 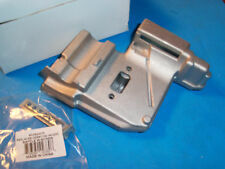 Replaces Kohler part number: 25 083 04-S. FITS 268 268K 272 61 272K AND MORE. 61 (1997-01). 61 (1993-09). 61 (1991-03). 272 XP (1997-01). 272 S (1997-01). 272 S (1995-12). FITS BRIGGS KOHLER TECUMSEH. PART # WOODYS 624. REPLACES 36905. PART # AIR-104. FITS 268 268K 272 61 272K AND MORE. PART # 6043. 61 (1997-01). 61 (1993-09). 61 (1991-03). 272 XP (1997-01). 272 S (1997-01). 272 S (1995-12). NEW FORESTER CARBURETOR ASSY FITS BRIGGS 799868 498254 497347. NEW FORESTER CARBURETOR ASSY FITS BRIGGS 499059. PART # 36755. NEW FORESTER ROLL RECOIL STARTER ROPE. THIS IS HEAVY DUTY ROPE. PART # WOODYS640. 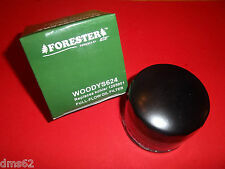 NEW FORRESTER OIL FILTER FITS HONDA. 14" Spoked Lawnmower Wheels, 1.75" Diamond tread width, 1/2" bore (axle size), No bushing. 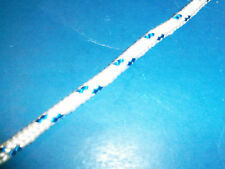 NEW FORESTER ROLL RECOIL STARTER ROPE. THIS IS HEAVY DUTY ROPE. PART # AIR179 / AIR180. 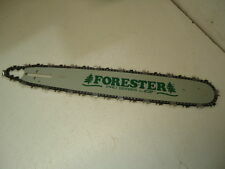 Forester Professional Cutter's Combo. Manufacturer: Forester. Safety Glasses. MPN: FORCHG. Spark plug removal tool. Handy tool to have in your tool box ! PART # 13368. 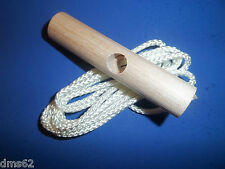 NEW RECOIL STARTER ROPE WITH OLD STYLE WOODEN HANDLE GRIP. 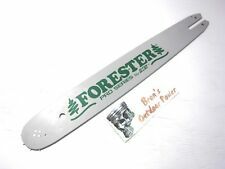 New NOS OEM Forester Bar. Ariens: 21529800. Briggs & Stratton 491588S. 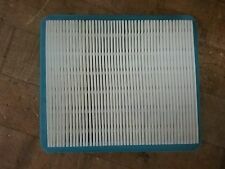 Briggs & Stratton: 399959, 4101, 4915, 491588, 491588S, 5043, 5043A, 5043D, 5043H, 5043K. Briggs & Stratton: 92200, 112200, 12A900-12T899 and 128700-129799 series. 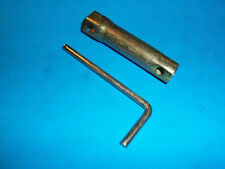 NEW FORRESTER INGNITION KEY FITS SEARS HUSQVARNA CRAFTSMAN POULAN. REPLACES # 273185S 497725S. PART # BAF-125. PART # 141127. REPLACES 697029. 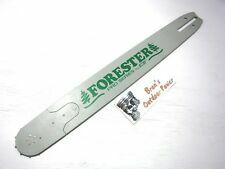 48" FORESTER 5.5 MM RECOIL STARTER ROPE & HANDLE TILLERS SNOW BLOWERS MOWER 48"
NEW FORESTER RECOIL STARTER ROPE AND MITTEN GRIP. THIS IS HEAVY DUTY ROPE. PART # 14273. REPLACES KAWASAKI # 11013-7017. FITS MTD TROY BUILT YARDMAN CUB CADET AND MANY RIDERS PART # FOR7013. PART # 483677. NEW FORESTER RECOIL STARTER ROPE. MUFFLER FOR STIHL 021 023 025 MS210 MS230 MS250 CHAINSAWS REPL 1125 140 0604. Condition is New. 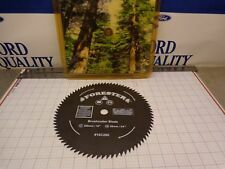 NEW FORESTER 026 Chain Saw Sprocket. 325. 63 Gauge. QTY.1 Check out all My pictures. Changing Your Mind. Ordering By Mistake. Not knowing the part you needed. REPLACES PART # LMST. 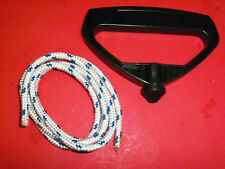 NEW FORESTER LAWNMOWER RECOIL STARTER GRIP AND ROPE. Specs: 20MM x 1.5 MM Thread size, 3" OD,3 1/8" Height, 27 microns, Fits most GX series engine.